The shadows are the same great quality seen in the chocolate palettes which came before this one. Easy to blend, pigmented and beautiful on the eye. There is a nice balance of shimmers, mattes and glitter shades. 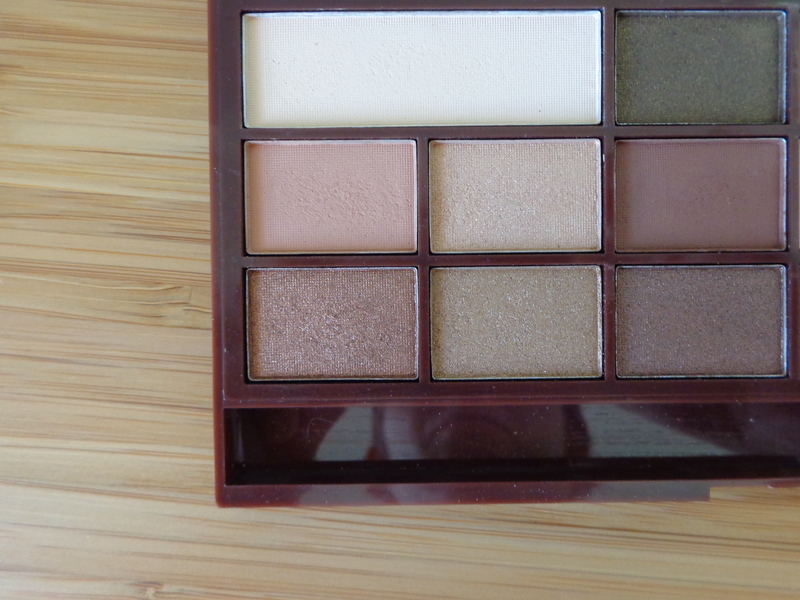 Plus, this palette has a sweet, caramel scent which is a bit yummy. I really enjoy this palette. The colours are predominantly mid-tones and warm. Right up my alley! The first row is nearly all matte in formula. Delicious is a perfect matte brow highlight and Heavenly is an excellent transition shade in the crease. Although it hasn’t shown up well in this photo, Enjoy, is a glitter shade with a dark brown satin base and gold micro glitters. The second row starts with Choc which is a matte chocolate brown with gold, micro glitters. Then we have Cake which has the weakest pigmentation in the palette. The formula is very unusual. It provides a pink flash rather than actual pink colouration. Perhaps it could be tapped like glitter over other shades (it is too think and damp to blend out with a brush), but to be honest, I never use this one. Meanwhile Crunch and Sweet are my favourite colours in the palette – so beautiful together! 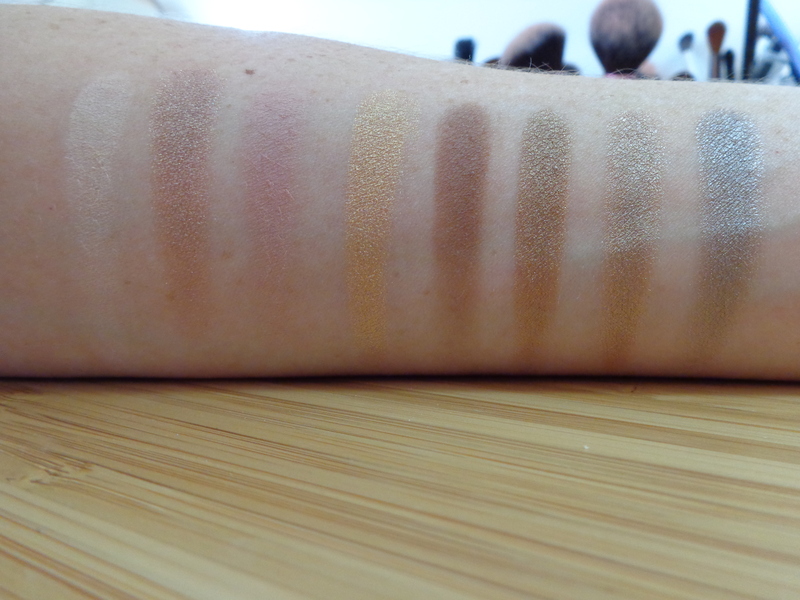 Third Row Swatches (left to right): Salted, Candy, Caramel, Spoon and Yum! Finally we have the third row. Lets just all take a moment to appreciate these beautiful colours. I reach for this row constantly and just adore the way that these shades go together. I can’t say enough good things about this palette. I love it and can’t recommend it enough. If you want to check it out for yourself you can pick it up from the Makeup Revolution website for about AU$16. This entry was posted in Chocolate Palettes, I Heart Makeup, Makeup Revolution Reviews, Uncategorized and tagged budget friendly makeup, Chocolate Palettes, Chocolate Salted Caramel, cruelty free, eyeshadow, I Heart Makeup, makeup revolution, megansmakeupmuses on March 12, 2016 by megansmakeupmuses. 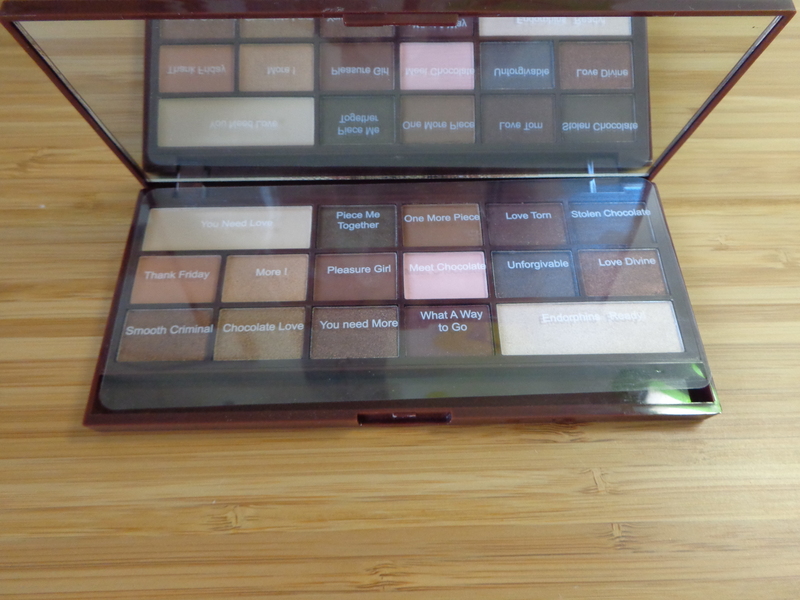 Today I am going to review the I Heart Makeup Death by Chocolate palette. 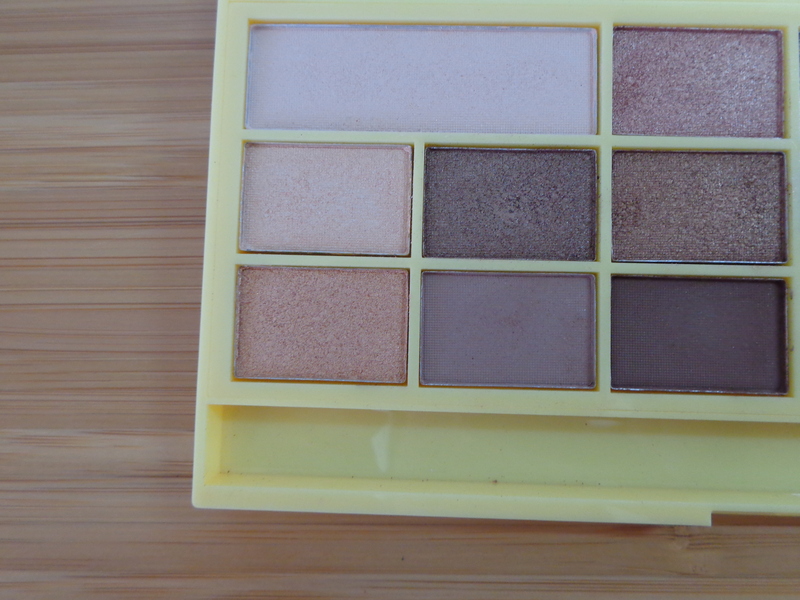 And before I move onto the review, lets all just take a moment to reflect on the name of this palette. Death by chocolate? I can certainly think of worse ways to go! 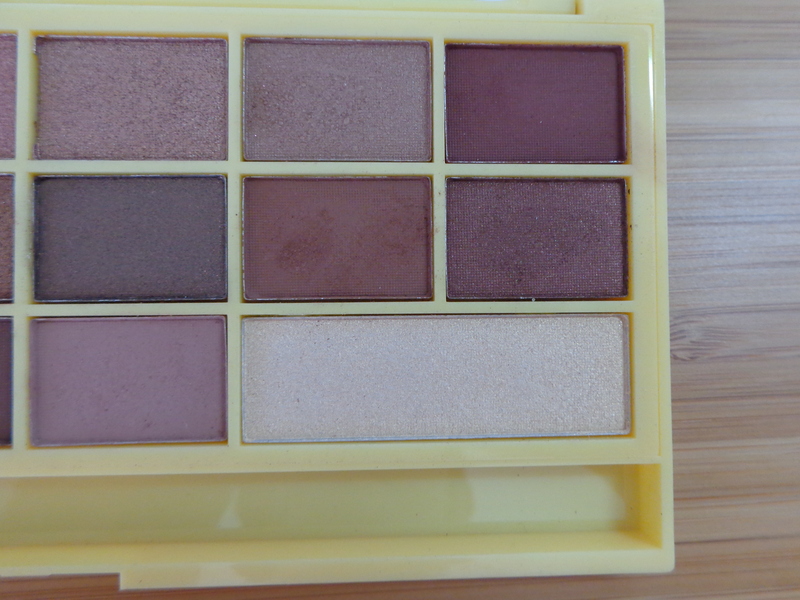 I do not believe that this palette is a dupe for anything else, (if it is, please tell me in the comments! 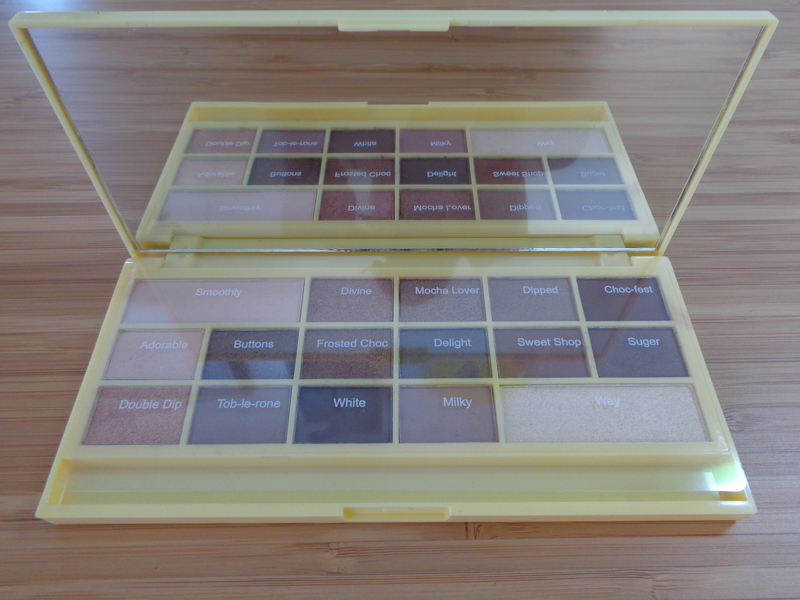 ), but as it is, this is a truly beautiful offering of eyeshadows. Death by Chocolate is a much more cool toned selection of colours. While there are still some chocolatey browns, there are also some really stunning taupe colours and a couple of shades with a distinct mauve undertone. 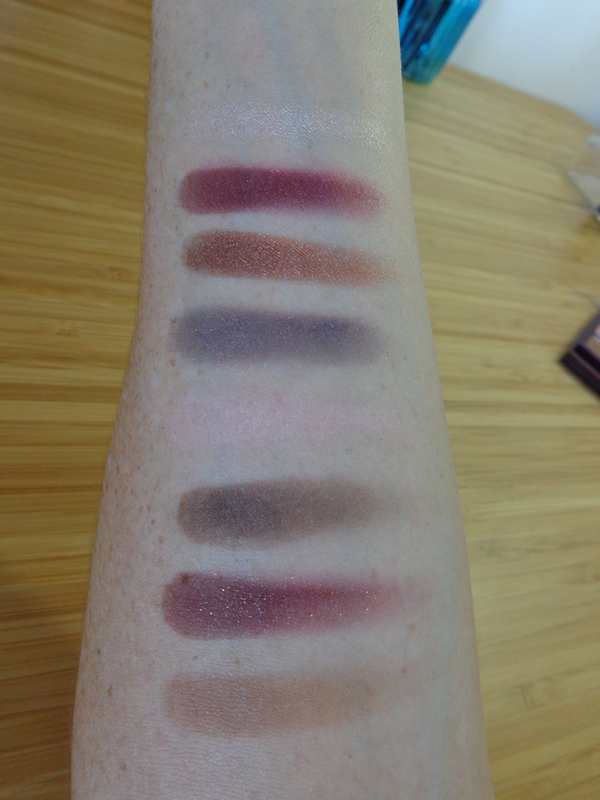 Left of Palette swatches: top to bottom, left to right. 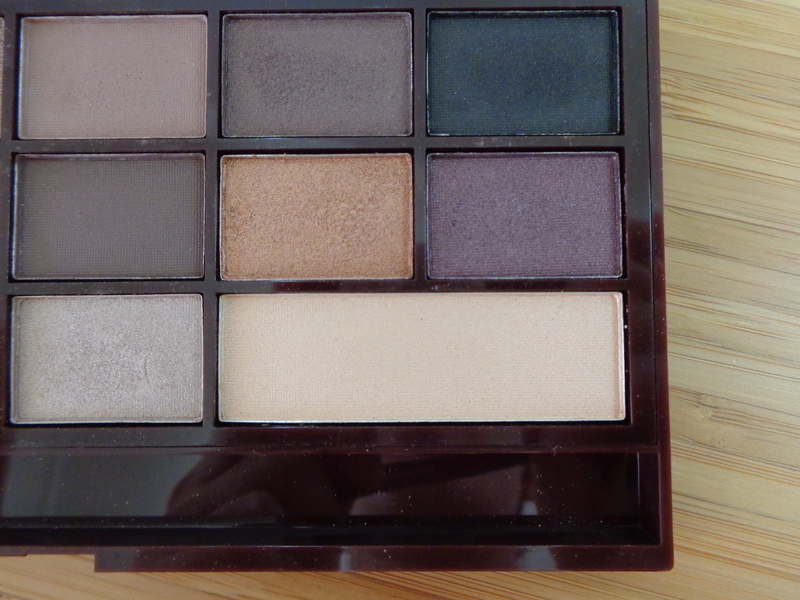 This palette has a really nice mix of mattes, shimmers and satin shadows – but no glitter shadows. This is a definite plus for me, but that is only my personal taste. 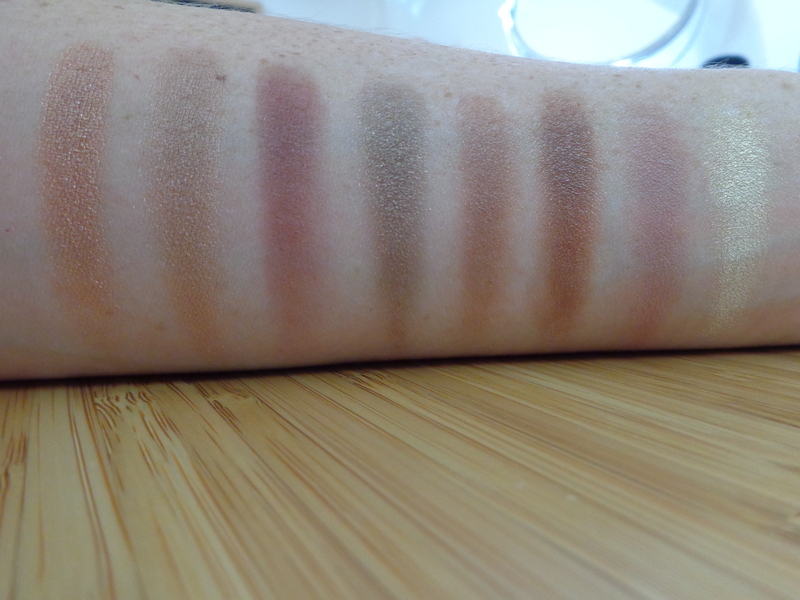 Right of Palette swatches: top to bottom, left to right. At first glance this palette seems like more of a night time palette and you can totally rock a smokey eye from the colours here, but I actually gravitate to this palette for work and I have no trouble getting a lighter, softer look from this palette for the everyday wear. I love the Death by Chocolate palette. These colours are really beautiful and such great quality. I find the pigmentation of these to be really impressive and for me they wear really well, without creasing, throughout a full day in the Australian heat. I don’t find they fade. I do wear these with eye primer – but I always wear eye primer regardless! Love makeup, eat chocolate and have a fantastic day! 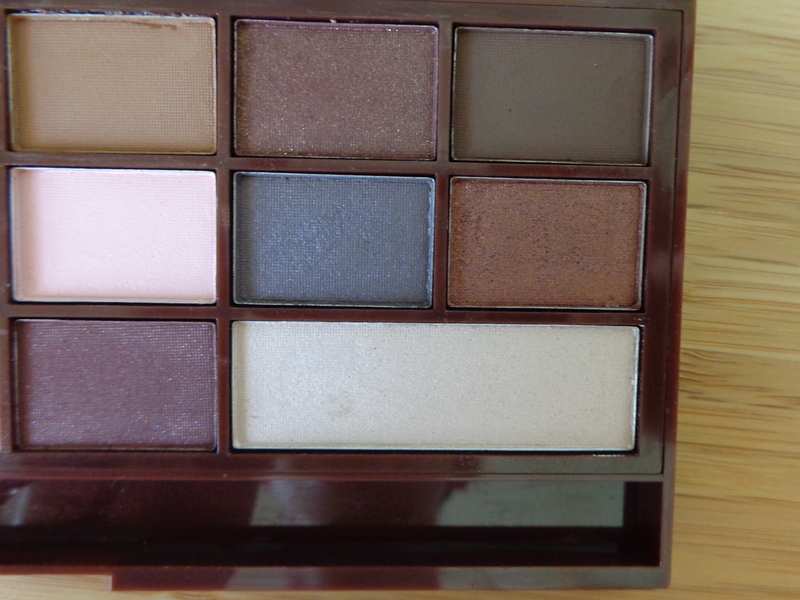 This entry was posted in Chocolate Palettes, I Heart Makeup, Makeup Revolution Reviews, TAM Beauty and tagged 16 eyeshadows, budget friendly makeup, Chocolate Palettes, cruelty free, Death by Chocolate, I Heart Makeup, makeup revolution, megansmakeupmuses on November 2, 2015 by megansmakeupmuses. So there are a number of things in life that I adore. One of them is chocolate. One of them is makeup. When those two powers combine….. oh my goodness! 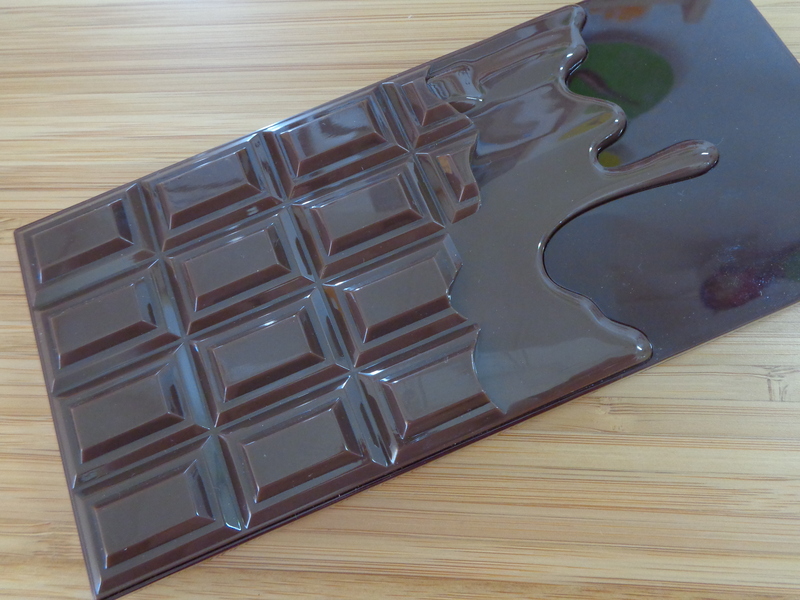 We are going to start ‘chocolate week’ with one of the MUR cult favourite chocolate palettes. 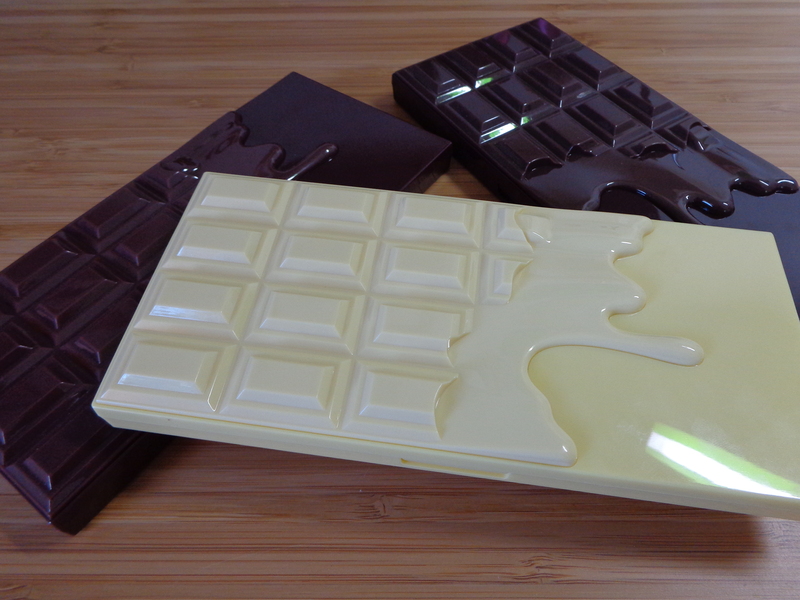 There are three chocolate palettes in the range: milk chocolate (I Heart Chocolate), dark chocolate (Death By Chocolate) and white chocolate (Naked Chocolate). The packaging is completely divine in its melting chocolate form. I actually have these on display in my girl cave. So frickin’ cute. I do think that these palettes smell sweet but they don’t have a strong chocolate smell. 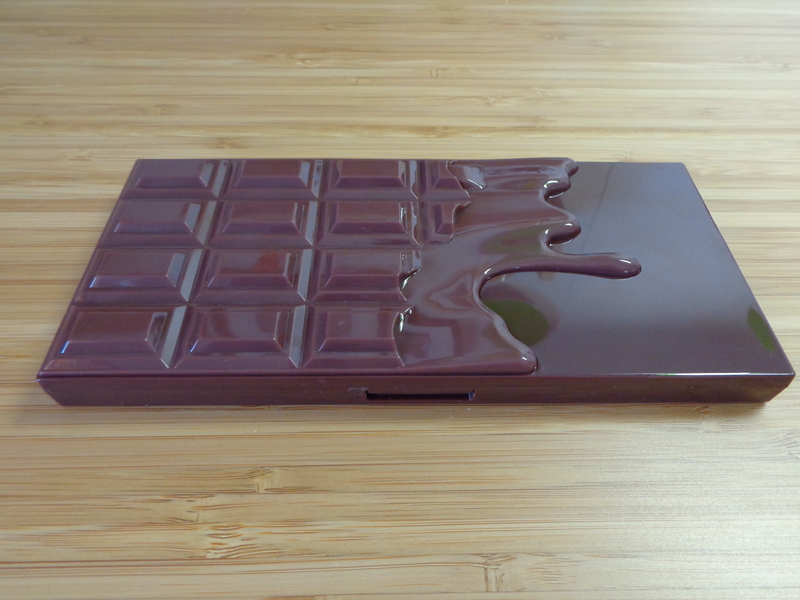 Today I am going to spotlight the I Heart Chocolate palette in its milk chocolate case. The palette comes with a clear slip that lists all the shade names which I think is a nice touch, but I would prefer that these were actually written on the palette itself. The shade names are well cute. There is also a really great mirror. 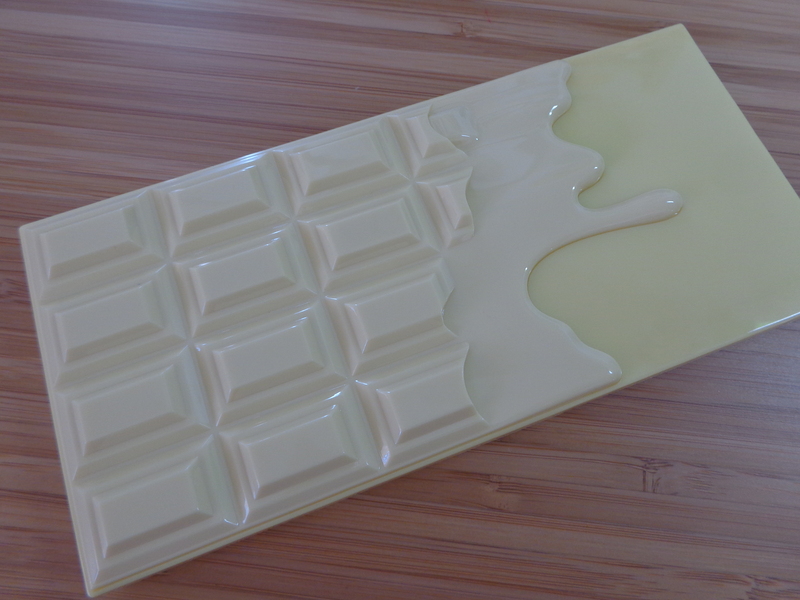 This palette is a dupe for the Two Faced Chocolate Bar Palette. 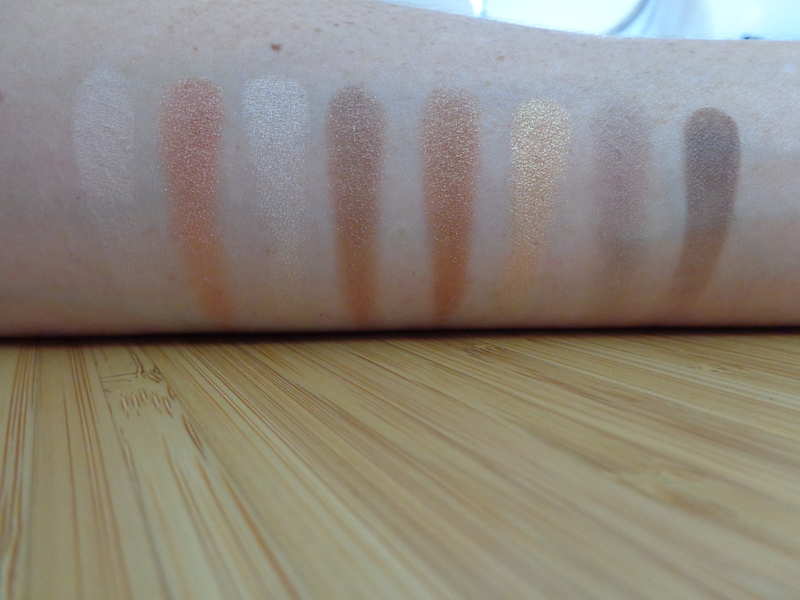 I don’t own the Two Faced palette to do a direct comparison for you but there are some excellent blog posts and youtube videos that show comparison swatches. I think the quality of these shadows is excellent. This palette has a nice mix of matte, shimmer, glitter and satin shades as well as a really good balance of neutrals and pops of colour. 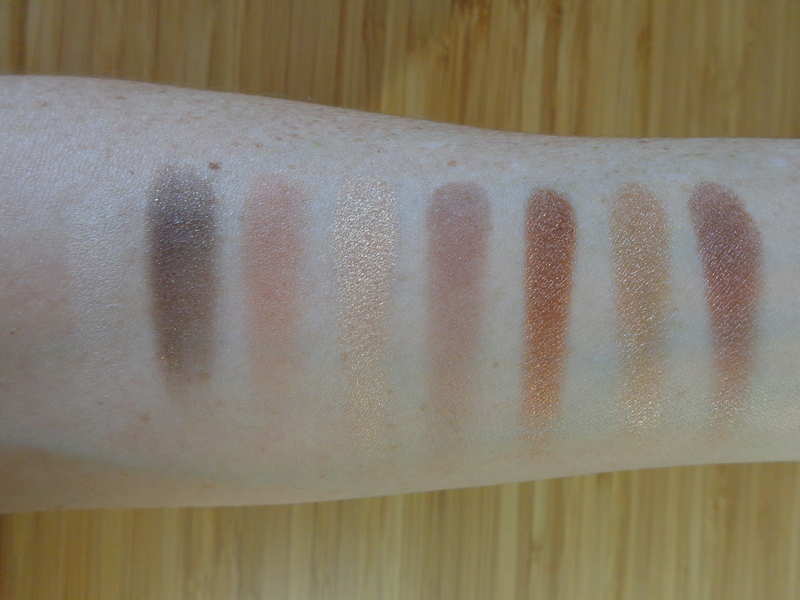 There are two mattes that work well in the crease and I really appreciate having a matte and shimmer highlight shade; although they didn’t show up well in my swatches, both of the highlight shades work really well on the eye and inner corner. 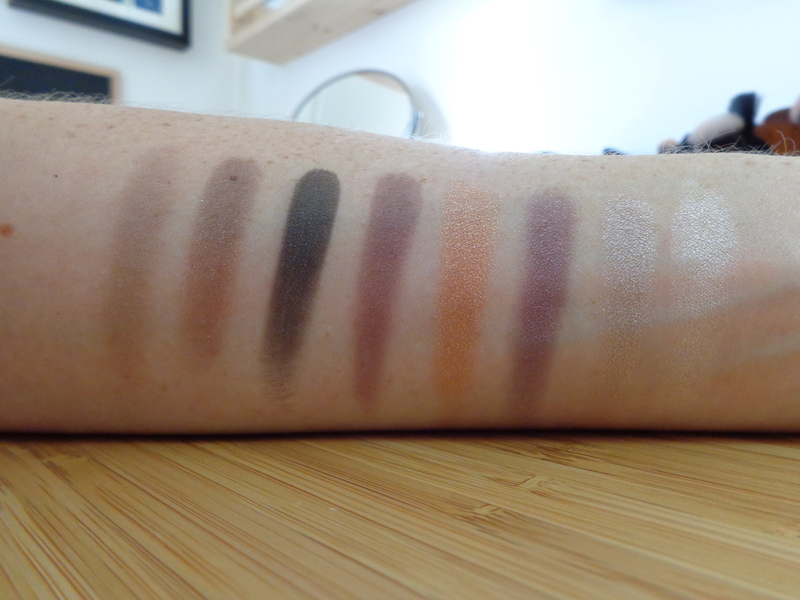 Right of Palette swatches – top to bottom, left to right. The purple shade called unforgivable (swatch 5) actually has a pink duo chrome and is extremely pretty on the eye. There are three glitter shades piece me together which is a dark olive shade (left of palette, swatch 2) which has gold glitters; love torn which is a maroon shade with gold glitter (right of palette, swatch 2) and then what a way to go which is a deep plum with pink/purple micro glitters (right of palette, swatch 7). I’m not really about glitter shades, but these shades certainly are beautiful and the glitter does transfer well to the eye, if that is your thing. 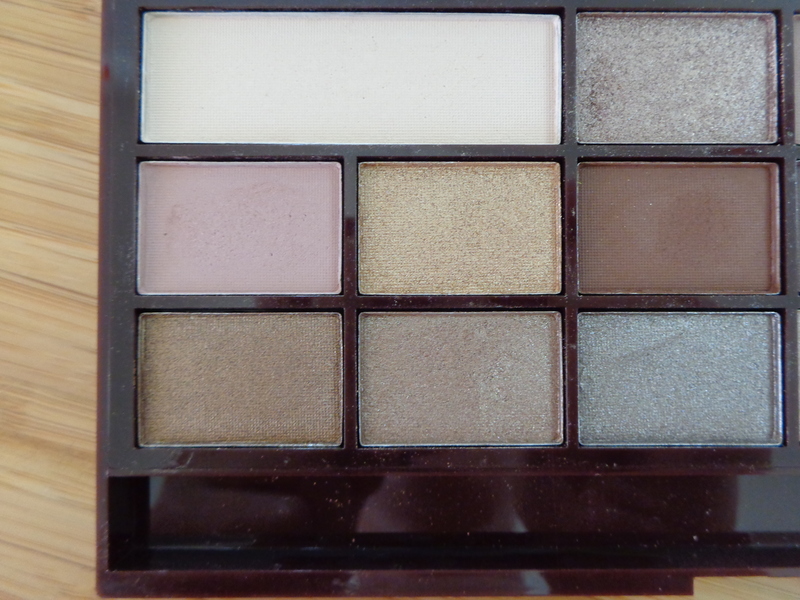 I think this palette is a great all-rounder. You can wear it for an everyday work look or a dramatic, smokey night look. If you have ever been tempted by the Two Faced Chocolate Bar Palette but don’t want to spend the AU$70 it will cost you then the I Heart Makeup I Heart Chocolate palette is a great option at just AU$17. Even if this was the only thing you purchased from the MUR website and therefore you paid the full international shipping for this one item (about AU$16) this palette is still half the price of the original. Bargain! Please join me for the rest of my I Heart Makeup ‘chocolate week’ celebration. If you haven’t already subscribed to my blog hit the ‘follow’ button on the right of the page to get updates of new posts via email. Love makeup, eat chocolate and have a great day!! 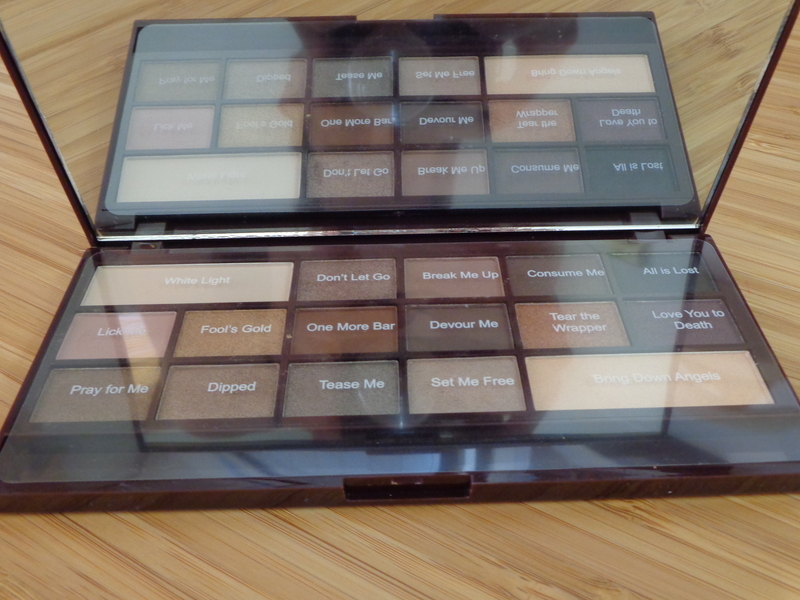 This entry was posted in Chocolate Palettes, I Heart Makeup, Makeup Revolution Reviews, TAM Beauty and tagged 16 eyeshadows, Chocolate Palettes, chocolate week, dupe, I Heart Chocolate, I Heart Makeup, makeup revolution on October 31, 2015 by megansmakeupmuses.